If I had more time I would be devouring books every day. As it is I am thankful for the books that I am able to find time to read. Since I don't have a lot of time I really try to read books that will be edifying to me in my walk with the Lord and encourage me as a wife, mother, homemaker and homeschooler. I can use all the help I can get and love gleaning wisdom and encouragement from those who have blazed a path before me. The summer is a great time for me to read some of those books that I have had on my list for a while to get to. I usually get out with my brood in the mornings and then try to have quiet afternoons at home; catching up with housework, taking a nap or snuggled up reading. 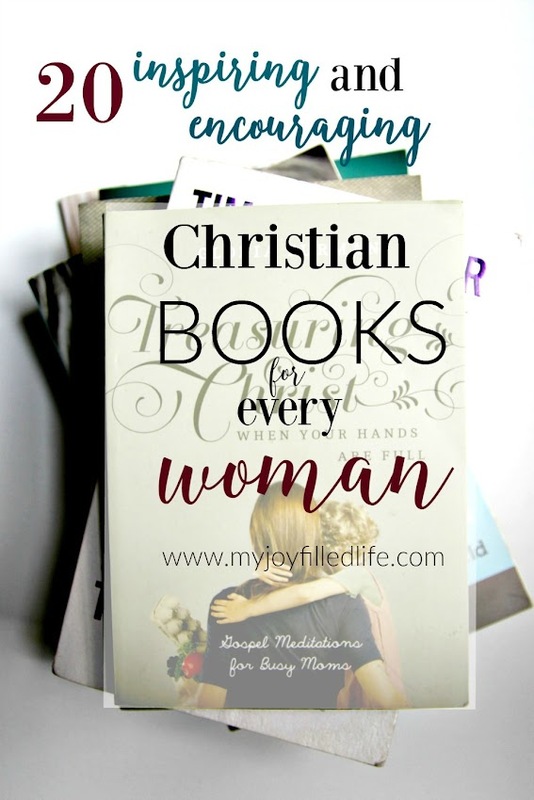 I have compiled a list of books; some of which I have read and some that I want to read that I hope will inspire and encourage you this summer in your walk with the Lord, as a wife, mother, homemaker and homeschooler. I hope you find a book that speaks to you and keeps bringing you back to it for words of truth, life, inspiration and encouragment! Please head over to My Joy Filled life to read the whole list and post!!! What books have you read this year or are reading now that you would reccomend?? I feel the same way. If I had tons more time I would read books like crazy. Thanks for sharing this great list of books at Family Joy Blog Link Up Party this week. I'm going to have to add some of these to my ever growing list! Thanks for sharing!!! !